Enjoy white sand beaches and blue skies at the new La Quinta Inn and Suites South Padre Island beachfront resort. Located on the Gulf of Mexico, this is the place to stay for bay and deep-sea fishing, horseback riding, parasailing, jet skiing, and other fun-in-the-sun activities. 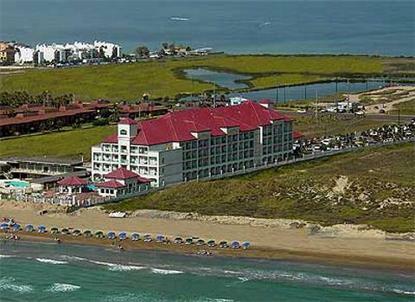 We are across the street from South Padre Island Convention Center, and close to championship golf, nightclubs, shopping centers, and a variety of eateries for every taste.